Alien landscape showing the track marks of earth movers. 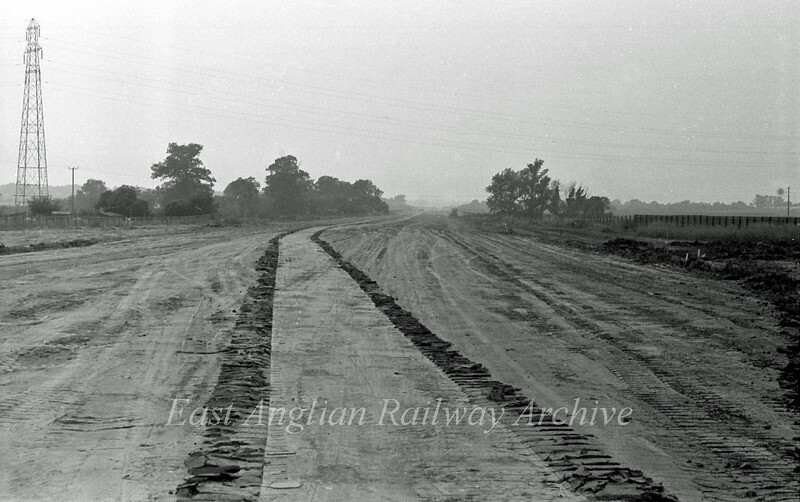 This shot from ground level on the old B1049 looking west towards Girton. 14th August 1977.